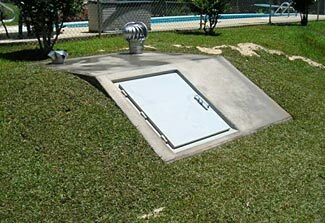 This shelter/bunker has easy access and would allow people to quickly make their way to safety. If you have a shelter and are unfortunately in a region where there’s a danger of being caught by the initial immediate effects of a nuclear explosion, then of course you must get into the shelter and have it secured, shut, prior to any bombs being detonated. Assuming you even get any warning about an imminent attack (and that’s a very big assumption which we evaluate in a separate article), you almost certainly won’t know how long it will be from when you receive the warning to when the warheads might arrive and explode above you. In another article, we calculate that the very best case scenario might see you with a five minute warning, maximum; and the more likely scenarios have warnings being too late and not being sent out (and/or not being received by you) until after the missiles have arrived. So you truly are in a situation where seconds count. Best case scenario, you have no more than 300 seconds (ie five minutes) from the start of a warning message until the explosion. More likely, you may have only one or two minutes to get into your shelter. It goes without saying that of course you want for you and as many other members of your group as are presently close to your shelter, to get into it and have it secured prior to the bomb(s) going off. Read on for some thoughts about how to make this as achievable as possible. With most retreat/shelter layouts, you should be able to get to your shelter and inside it in less than 60 seconds (depends how quickly you can get its door open and closed, of course). Some people might be closer and able to do so in under 30 seconds. Others may be more distant (we talk about that a bit further on). You and everyone else must, the instant you get a warning, stop anything/everything you are doing and move immediately to the shelter, because you have no way of knowing if the warning you have received leaves you with 10 seconds or 10 minutes of time before the bombs start exploding around you. The only thing you need to do, prior to rushing to your shelter as urgently as possible, is to warn the other people in your group and summon them to the shelter. We suggest the best way to do this is not by calling out to them, but by sounding a (very loud) audible alarm. Do not use a method that puts the responsibility on you to make sure other people have heard and understood the alarm. And do not use some type of alarm system that will delay your own rush to the shelter. All you should have to do is flip a switch somewhere close by on your likely route to the shelter. 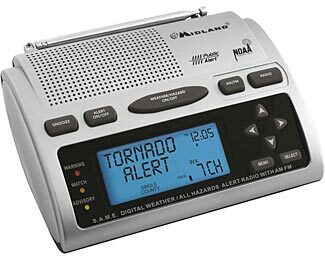 Use some type of general alarm and make sure it is clearly understood that there will be no checking up, so when the alarm goes off, it is everyone’s personal responsibility to hear it, recognize it, respond to it, and get to the shelter before it closes, without assistance. Sadly, we as a nation have largely turned out back on the concept of personal responsibility, so this may require a paradigm shift, and some passive aggressive responses from some of your group who are slowest to accept this concept (you may uncover this when you do rehearsals – see below). The only exception to personal responsibility would be, of course, for people who genuinely truly do need assistance. The aged, infirm, and the very young. Perhaps the best alarm system would be to have a series of sirens or alarm bells installed around your residence, connected up to a car battery that is being trickle charged by a standby battery charger. These would be all activated by any one of a series of switches around the house, all in parallel, so that turning any one of them on will activate all the alarms. The battery/mains power source means that if there’s a power cut, your alarm system will still remain functional, potentially for days or weeks until the power is restored (the alarm system will not be drawing appreciable power until it is activated). With multiple alarm devices, you can locate them wherever people may be and wherever distracting noises may be present. If this is too complicated, then a simple system could be to use warning horns that run off cans of compressed air, and have those in multiple locations in your house on the route to your shelter. Have them in a cradle with a lever so that you can pull the lever down to actuate the device and have it stay actuated for however long there is air in the can. You can just quickly flip it on and then continue on your way to the shelter. Failing that, even simple whistles that you can blow, in several places around the house, might be a suitable alternate way of providing a loud can’t be missed urgent alarm sound, but if you’re blowing a whistle as hard as you can, you’re going to be slowing yourself down on your own rush to the shelter. You’ll be able to test this of course and get a feeling for how clearly a whistle or air horn can be heard in the furthest away nooks and crannies of your residence and the grounds immediately outside. Probably you’ll find it necessary to use an electric siren system with multiple sirens – these are easy to design and construct. Note that the human ear will detect an intermittent sound better than a steady sound. So instead of one long blast of the air horn, or one huge blow of the whistle, you want repeated multiple short blasts. Each sound should be at least half a second in duration. Electronic siren devices with programmable siren tones might be better, from this perspective, than steadily sounding alarm bells. Three final suggestions about this. First, make sure the alarm sound is very different to other alarms and warnings and sounds in and around your house. You don’t want it to be confused with your alarm clock, the timer on the microwave, a carbon monoxide detector, a smoke detector, the neighbor’s burglar alarm, your car alarm, etc. Second, don’t make the alarms ridiculously deafeningly loud, and don’t choose a siren sound pattern that is disorienting (fast warbles are particularly disorienting). You want to alert people, not disorient and confuse them. Third, have an alarm cut-off switch in your shelter, so that when you close up your shelter, you can turn off the alarms. This does two things. First, it gets rid of the noise in the background that might otherwise continue for many hours. Secondly, people know that if/when the alert siren stops, that means the shelter has been closed and they should make other emergency arrangements for shelter. Whatever method of warning other people in and around your house you choose, of course you must test it to ensure that everyone can hear it, everywhere in the house, no matter what they’re doing. The person singing in the shower, the person with headphones on listening to their iPod, the person laughing and giggling with friends, the person watching a loud movie, the heavy sleeper in their far away bedroom, the person mowing the lawn outside and so on – all of them must be absolutely able to clearly hear the alarm. The next part of your planning is to understand how long it will take people to get to the shelter from different parts of your residence and adjoining property. You want to do test drills from various locations so you build up an understanding of what the range of times will be to take people to get to your shelter. 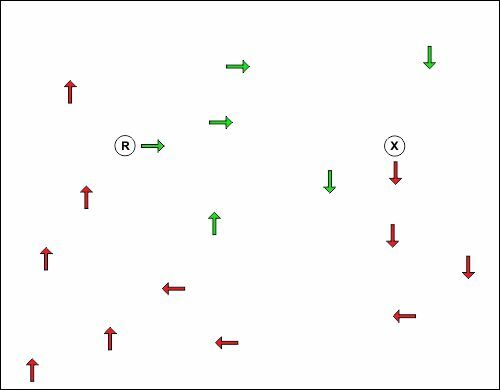 Time both faster/nimbler members of your group and slower/less dextrous members too, so as to get best and worst case scenarios. 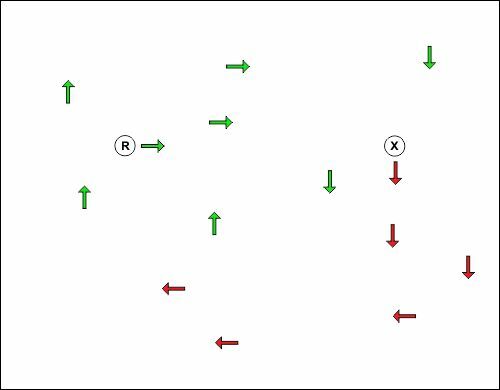 As you do this, you’ll quickly see that, for example, people can get from everywhere in your house to the shelter in a maximum of (whatever number) seconds, and where the furthest away (from a traveling time point of view) locations are. If you have some people who are less agile on stairs or whatever, of course their travel times will prove to be significantly different if there are stairs or other complicating factors. Please understand, at this point, that mapping out the times is not the same as setting a policy for how long you’ll wait for people to get to the shelter, but it certainly is the step prior to that and provides you with helpful data to consider when making those difficult decisions, discussed in the next article. There’s also one other thing to consider when looking at time it takes to get to the shelter. The key issue is how much more time it will take people from further away to get to the shelter than it will take people close by. That is the most difficult time, when some people are already in the shelter and waiting anxiously for the door to be closed and for safety to envelop them. You need to carry out rehearsal drills to instill the appropriate instincts in everyone in your group to move to your shelter instantly and also to check for things like the ability for your alert/warning sound to be heard. Do we need to tell you that once an alarm is sounded, don’t pause to grab anything (because everything you need for an extended stay in the shelter must be already pre-positioned in the shelter), don’t fuss over opening/closing doors/windows, don’t turn anything on or off, just go directly to your shelter. Nothing else matters, because you’re anticipating a scenario where everything outside the shelter is about to be completely destroyed, after all! Some rehearsals can be simple timed exercises to see how long it takes each person to get to the shelter, and see what issues each person experienced in terms of delays and problems, then work on fixes to optimize those issues. Depending on the type of entrance to your shelter, you might also discover problems having a number of people all transit through it at once. If that is the case, see which way works best – slow people first, fast people second, or vice versa, and see if there’s a way for more able-bodied people to assist the less able-bodied people. If you have a vertical shaft with a ladder leading down into a shelter, maybe there’s a way you could augment that with a ‘fireman’s pole’ on the other side of the shaft, opposite the ladder? That way some people could use the pole to quickly go down while others use the ladder. We suggest you never have a total surprise alert, because the adrenalin caused by an unexpected and apparently for real alert might prove too much for the weaker hearted among you. But it would be acceptable to say ‘Some time today or tomorrow I’ll sound the alarm’ – there’s no need to have everyone ready, waiting, and already prepared. Now for an important thing. After a few ‘normal’ rehearsals, you want to then start adding a new element into the practicing. You want to deliberately be late, yourself, and subsequently secretly arrange with other individuals for them to be late. You are now rehearsing not just the ‘getting to the shelter in time’ scenario but also the ‘closing the door in the face of late-comers’ scenario, and this is an essential thing to rehearse. Not only does it give the door closer the confidence to do so, but it also impresses on the stragglers that the door will close at the agreed upon time (see our separate article on how to set these policies). What say you have friends visiting when an alarm is sounded. What do you do – leave them staring in amazement as you suddenly all get up, open a hitherto unseen ‘secret panel’ in the wall behind them, and rush down a flight of stairs without a word of explanation? Or try to hastily tell them what is happening and invite them in to your shelter with you? On the basis of safety in numbers, and on the basis of it is probably easier to include them than to exclude them, you probably should plan your shelter to have some extra capacity – extra space, extra beds, extra food, and so on. So, in the event an alarm should occur when you have guests visiting, and all other things being equal, you invite them too. This assumes that the visitors are people who you are generally compatible with and who truly would add to the overall dynamics and resilience of your group. The problem is that your group will have had time to already prepare their attitudes and mindset to the scenario that is now unfolding, and hopefully have some fortitude with which to face the future. Non-prepping friends might bring with them all the dysfunctional attitudes and expectations that have made our society as unstable as it presently is. Which would be worse? To exclude them from entry to your shelter at the get-go (quite possibly at gunpoint) or to eject them from the shelter some days later (again quite possibly at gunpoint)? All your investment in a shelter is wasted if you and the rest of your family/group can’t get there in time, before any bombs start to go off around you. You need to plan and then practice the process of making your way to your shelter as quickly as possible, because if an alert is ever sounded, you may have mere seconds to get from wherever you are to the safety of your shelter. How Close Can You Be to Survive a Nuclear Bomb Blast? The effects of the bomb at Hiroshima were greatly magnified by the flimsy construction methods used in the city. The few buildings constructed to western standards proved comparatively robust. This is the first part of a two-part article about surviving nuclear blasts. In this first part, we look at the immediate effects of nuclear blasts, in the second part, we will look at longer term effects. Few things are more horrific in many people’s minds than the thought of being close to a nuclear explosion. Some people have gone to great lengths, constructing massive bunkers/shelters in their basements, to do what they believe may be necessary to optimize their chances of survival in such cases. But – two questions : Are such things really necessary? And, if they are necessary, will they truly protect you? Sure, we agree that ground zero would not be a nice place to be at, but the horror and the power of nuclear weapons are often overstated and misunderstood – especially by the ‘anti-nuke’ campaigners; oh yes, and by bunker salesmen, too! So, let’s first investigate the question – how survivable is a nuclear explosion, and then in a subsequent article series we’ll evaluate the best type of bunker or other shelter structure that would be appropriate for most of us. The survivability of a nuclear blast depends on several variables (of course). In particular, it depends on how powerful the nuclear bomb is – and that’s the first variable most civilians fail to account for. 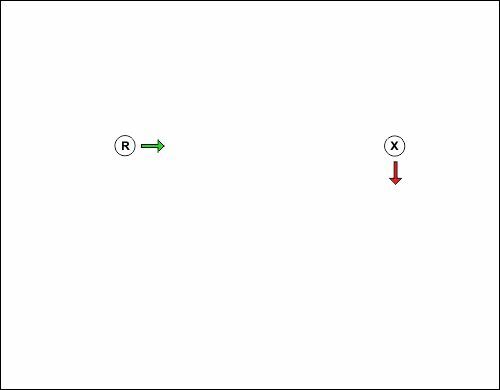 A second variable is how far you are likely to be from the blast (and we consider some of the surprising unexpected considerations related to determining that in the second part of this two-part article). Other variables include the weather (obviously wind has a massive impact on fallout patterns, so too does rain), the time of day (the nuclear flash will blind more people at night), topography (you might be sheltered by a hill) and ‘urban clutter’ (buildings and other things that occlude and slow down a blast wave more quickly than most theoretical models allow for). One more huge variable is whether the blast is an air blast (most likely), a surface blast (less blast effect but massively more fallout) or a sub-surface blast (effects depend on how deep the blast is). Nuclear bombs are measured in terms of the equivalent amount of TNT required to create a similar blast. Actually, due to various imprecisions, these days they are measured in terms of total energy released which is converted to a theoretical equivalent amount of TNT to make it sound more scary and also more meaningful – if you were told that a bomb had a power of 4.184 petajoules you’d have no idea what that meant, but most people can vaguely comprehend that a one megaton bomb is awesomely powerful. The 1 MT rating is equivalent to the 4.184 petajoule rating. You might not be familiar with the ‘peta’ prefix – a petajoule is 1000 terajoules, or 1,000,000 gigajoules or 1,000,000,000 megajoules, or, in the ultimate, 1,000,000,000,000,000 joules – a very big number indeed! But, back to the usual common measurement of nuclear weapons. The power of such weapons is usually measured either in kilotons (kT) or megatons (MT), being respectively 1000 tons or 1,000,000 tons of TNT equivalent. Nuclear bombs range in size from a few kilotons of TNT equivalent power to possibly over 100 megatons of TNT equivalent power. The smallest that we are more or less aware of were the (withdrawn from inventory more than 30 years ago) W54 series of warheads, with explosive blasts measured in the mere tons or tens of tons of TNT equivalent. 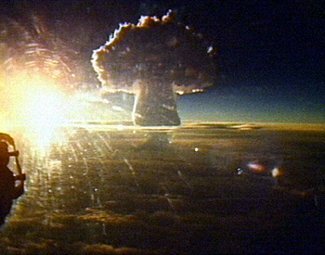 The biggest ever exploded was a Russian bomb, called the Tsar Bomba, which created an estimated 57 megaton blast, in 1961. To put these sizes into context, conventional ‘high explosive’ type bombs range from some tens of pounds of TNT equivalent up to the largest GBU-43/B bombs with an 11 ton yield. Russia might have an even larger bomb with a 44 ton yield. Most conventional bombs have an under half ton yield. So that’s the first take-away point. A ‘nuclear bomb’ can range from something less powerful than a conventional technology bomb, to something of hard to comprehend power and magnitude. There’s as much as a million times difference in power between a small nuclear bomb and a huge one – that’s like comparing the tiniest firework cracker with a huge 6000 lb conventional ‘bunker buster’ bomb. Except that, of course, even the smallest nuclear weapon is sort of like a huge 6,000 lb conventional bunker buster bomb, and they just go up from there in scale! A related piece of good news. Although the first decade or two of nuclear bomb development saw a steady increase in size/power, that trend has now reversed. 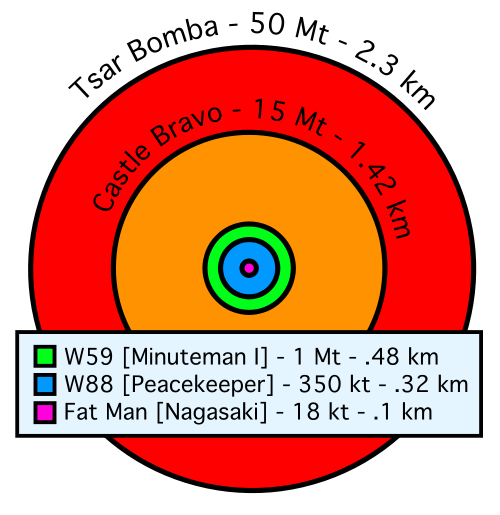 The two bombs used against Japan were approximately 13 – 18 kT for the Hiroshima bomb and 20 – 22 kT for the Nagasaki bomb; and then for the next fifteen years or so after that, bomb sizes got bigger and bigger. The largest bombs ever tested were the US Castle Bravo test in 1954 (15 MT – this was actually a mistake, it was planned to be only half that size) and the Russian Tsar Bomba test in 1961 (57 MT). Since that time, the typical warhead size has gone down again rather than up. 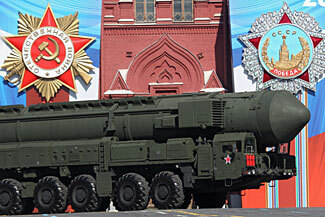 Happily, bigger is not necessarily ‘better’ when it comes to nuclear weapons. There are several reasons for this. Due to the increased accuracy of the delivery systems, there has become less need for a massively powerful bomb – a smaller bomb delivered with precision would generally have the same or better effect than a bigger bomb that arrives some distance off target. Earlier missiles were only accurate to within a mile or so of their target, the latest generation are thought to be accurate to 200 ft or so, so there is no longer a need to have a weapon so powerful that it will be capable of destroying its target, even if it is a mile further away than expected. Secondly, the evolution of multi-warheaded missiles means that instead of a missile delivering one big bomb to one target, they can now deliver two, three, or many bombs to many different targets, but this requires each warhead to be smaller and lighter (ie less powerful) than otherwise would be the case. With a single missile having a limited amount of space available and weight carrying capability to transport warheads, and with a fairly direct relationship between a bomb’s power and its weight (and lesserly space), there has been a general favoring to the smaller warheads, although Russia still has a few enormous 20 MT warheads in its inventory. There is also the surprising and counter-intuitive fact that the effects of a nuclear explosion do not increase directly with the increase in its power – that is to say, a bomb with twice the rated TNT equivalent explosive power does not also have twice as much destructive power; it has more like perhaps 1.6 times the destructive power (the actual relationship is x0.67). This means it is better to have two bombs, each of half the power of a single bomb (and better still to have four bombs, each of one-quarter the power). In terms of maximizing the total destroyed area, if you have a single missile that could have, say one 8 MT warhead, two 4 MT warheads, or four 2 MT warheads, generally this last option would be the most desirable one. It also means the attacker can choose between sending multiple warheads to one target, or being able to attack more targets. Furthermore, having four warheads all splitting off from the one missile gives the enemy four times as many objects to intercept. It is much harder to safely defend against four incoming warheads than one. So, for all these reasons, multiple small bombs are now usually the preferred approach. This statement needs explaining. There are two factors at play here – the first is that if a bomb is eight times bigger than another bomb, it doesn’t destroy eight times as many square miles (due to the power of the bomb not increasing linearly with its TNT equivalent, as explained in the preceding section). At the bottom of this page it says that eight small bombs might cover 160 sq miles of area (ie 20 sq miles each), whereas one single bomb, eight times the size, would only cover 80 sq miles. The second factor is to do with the difference between a bomb’s destructive area and its destructive range. A bomb’s destructive area spreads out more or less in a circular pattern, but the area of a circle is proportional to the square of its radius. In other words, for a bomb to have a radius of destruction twice as far as another bomb, it would need to be four times more powerful, not two times as powerful. So, continuing this example, 80 square miles require a circle with a radius of 5.0 miles, and a 20 sq mile circle has a radius of 2.5 miles. In other words, to double the distance within which a bomb will destroy everything, and after allowing for both the square relationship between distance and area, and the less than doubling of explosive effect when you double the power of a bomb, you have to increase its explosive power not twice, not four times, but eight times. This is presented visually in the following diagram, which shows the radius of the fireball created by bombs of different sizes, ranging from small to the largest ever detonated (sourced from this page). Don’t go getting too complacent, though. This is only the close-in fireball – the blast and temperature effects would extend much further than this (although subject to the same proportionality). Now that we start to talk about actual damage and death, it is important to realize that these things are not clear-cut. Apart from extremely close to a bomb’s detonation, where everyone will be killed, and everything destroyed, and extremely far from its detonation, where no-one will be killed and nothing destroyed, in the range between ‘very close’ and ‘safely far away’ there is a sliding scale of death and destruction. There are zones where 90% of ‘average’ buildings will be destroyed, and other zones where only 10% of average buildings will be destroyed, and the same for where varying percentages of people may be killed or injured. 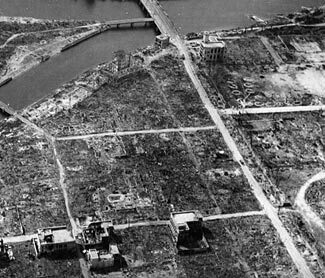 As can be seen from pictures taken after the explosions in Hiroshima and Nagasaki, even very close to the blast centers, some buildings remained standing, while other buildings, relatively far away, were destroyed. There’s a lot more to whether buildings and people survive than just distance from the blast, and one of the factors is best described as ‘luck’. So the numbers we give below are very approximate. To be specific, a 20 MT warhead (the largest in Russia’s arsenal) would send lethal radiation about 3 miles, almost all buildings and many people would be killed by blast effects up to 4 miles away, and third degree burns (the most serious) would be inflicted on people in direct line of the blast up to 24 miles away (see the table below, taken from the Wikipedia article on this page). With most bombs likely to be 1 MT or less, the column in the table for 1 MT devices is perhaps most relevant. If you have a well-built retreat, then as long as you are, say, 5 miles or more away from the detonation, your retreat will remain standing. As for yourself, it would be nice to be a similar distance away to keep your own overpressure experience to a minimum (ie under 20 psi, although the body may survive up to 30 psi according to page 4-5 of this FEMA document). There is also a need to avoid the lethal radiation, which will reach out about 2 miles, with diminishing degrees of lethality as you get further away from the blast – for example, you’ll have a 50% chance of dying from radiation (but not so quickly) if you are within 5 miles. But your biggest worry (ie the threat reaching out the furthest) will be the flash and temperature effects. If you are outside, you don’t want to have the bad luck to be looking at the bomb (especially at night), and ideally you’d be more than 13 miles from it to avoid even first degree burns. At 10 miles, you’ll start to get more severe second degree burns, and while normally survivable, in a situation with diminished medical care available, these would be life threatening. However, if you are inside, you can safely be closer, because the walls of the structure will insulate you from the heat and flash. So, to summarize, with a 1 MT bomb, you’ll die from either burns or radiation or blast if you are within 5 miles of the blast. If you’re not sheltered from the direct heat flash, you’ll die from burns if you’re within about 13 miles of the blast. If you are indoors, then your structure may collapse around you (and on top of you) if it is within 5 miles of the blast, and if it is constructed from flammable materials (ie wood in particular), it might catch fire if within 7 miles. There is one more immediate risk to be considered. The blast is going to transform all sorts of things into dangerous flying objects. You might survive the initial blast itself, only to be skewered by a flying telegraph pole a minute later, or be cut and bleed out from splinters of flying glass. 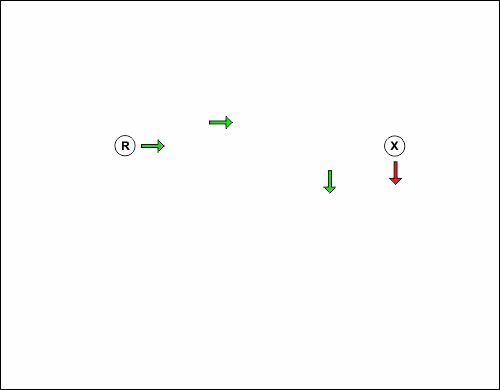 Here’s the thing – the blast wave travels more slowly than the initial flash. So if you perceive an enormous flash, you should urgently take cover away from windows or weaker external structures, and wait several minutes until the hail of debris has subsided before venturing out. Lastly for this part, here’s an interesting web program that shows the estimated ranges of the various effects of a nuclear explosion. You can choose the power of bomb and where it is detonated, and see its coverage effects accordingly. In our opinion, the ranges it shows are slightly over-estimated and fail to consider topography and other real-world factors, but it is probably acceptably accurate for the purposes it was created for, and on the basis of ‘better safe than sorry’ it does no harm to consider its results carefully. This first part of our two-part article has covered the immediate dangerous effects of a nuclear explosion that will occur within the first five minutes or so of a bomb blast. But unlike a conventional bomb, don’t think that if you survive the first five minutes, then you’re safe. There’s much more to consider, starting from perhaps about thirty minutes after the blast first occurred. Please now turn to the second part to learn about the secondary and longer term effects of a nuclear explosion. 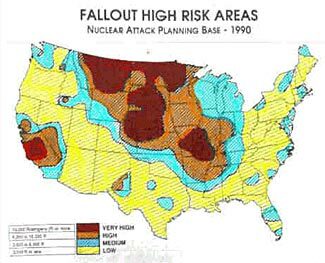 A Civil Defense map from 1990 showing likely fallout patterns after a moderate intensity nuclear war. This is the second part of a two-part article about how close you can be to a nuclear explosion and survive. If you arrived direct to this page from a search engine or link, we suggest you first read the first part which talks about the immediate effects and dangers of a nuclear blast (covering the first five minutes or so) and how close you can be and still survive those. Once you have survived the immediate effects of a nuclear blast – the fireball, the flash, the heat, the radiation, the blast wave and the flying debris, you have no time to relax. There are two more dangers still to consider. The first danger is that this first nuclear blast may not be the only one. In a full-out nuclear war, all significant targets will likely be targeted to receive multiple bombs. We’d suggest that if a first blast occurs, you anticipate that additional blasts may follow, and potentially over a period of an hour or two. There could be several blasts within ten to twenty minutes from the first wave of missile attacks, and then there might be a second wave of attacks that follow an hour or so later. Assuming you are in a moderately appropriate place to shelter, stay there for an hour or two in case of additional bombings. Unhappily, the concern about additional bombs following the first is only one of the reasons to stay sheltered (or to urgently get to shelter). There’s another major factor that will start to come into play, about 30 minutes after the explosion. This is where some type of shelter facility becomes essential. The bad news part of the immediate effects of a nuclear blast is that you might not have a chance to get to your shelter in time to be protected from them; the good news part is that they are lethal only over a surprisingly short distance (see the first part of this article for a discussion on the range of the lethal initial effects of a bomb blast). But the fallout from the blast may start arriving at your location as soon as a few minutes after the blast, and might continue arriving for hours or even days afterwards, depending on issues such as wind and rain (see our series on Using Wind Data to Estimate Fallout Risk). You have two problems with fallout. Firstly, you don’t want it falling on you or getting in to your retreat/shelter. Secondly, it will remain ‘out there’ – on the ground, on exposed surfaces, and anywhere/everywhere dust can settle – for a very long time until either washed away, removed, or radioactive levels subside. Even though the radiation levels from the fallout may be low, they will be continuous and the effects on your health will be cumulative. Controlling your exposure to fallout radiation is essential. We talk about fallout in detail on our page Radiation and Fallout Risks. There is a new concept to introduce to you now – and that is the difference between early and delayed fallout. Depending on the particle sizes of the fallout material, some fallout will rise further than other fallout. The heavier pieces go up a shorter distance and come down more quickly – this is termed early fallout. The lighter pieces will go further up into the atmosphere – some objects may even be shot out into space, happily never to return. 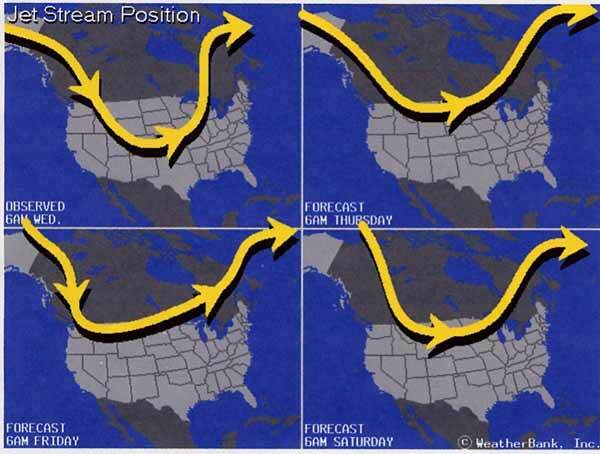 The lighter pieces may get caught up in the jetstreams and be whisked away from where you are. The immediate problem for you, if you are reasonably close to a bomb blast, is the early fallout. This will start landing on the ground within 30 minutes of the explosion in the immediate vicinity of where the explosion occurred, and closer to an hour later by the time you get 20 miles away. By the time you are 100 miles away, it may not start landing until 4 – 6 hours after the event. These distances are largely determined by the wind speeds and directions, the fallout will not land evenly in neat concentric circles, but will skew strongly in some directions and might not appear at all in other directions. We can be reasonably sure about the time it will take for the early fallout to come back down again, but we can not guess as to the specifics of where it will land. All of the early fallout is usually deposited within 24 hours. The remaining lighter particles can take months before they return to the ground, and may do so anywhere in the world (information taken from p 14 of this excellent 1961 guide). So even if you survived the initial blast from the bomb, you still need to quickly get to shelter to avoid the fallout. Depending on how far you are from the explosion, you can expect fallout to start arriving some time from 30 minutes after the blast, and to continue for a day. The next part of the process is sheltering until the radiation from the fallout has reduced down to an acceptable level. How long will this take? That depends on how much fallout is surrounding you, and also on its rate of decay. You probably should plan to stay inside for several days before even thinking about what is out there, then at that point, warily stick a radiation meter out a door and see what it says. If it starts chattering away at an alarming level, quickly retreat back inside and wait a few more days before repeating. The two readings will also give you a feeling for rate of decline, helping you get a feeling for how much further you are likely to need to keep waiting. We have a page here about detecting and measuring radiation and will shortly be releasing an article about how much radiation is safe and when it instead becomes dangerous. Realistically, you should be prepared to shelter for as long as a month or more, and as we discuss in our article on detecting and measuring radiation, if after a month, radiation levels remain dangerously elevated after a month, and show only low rates of reduction, then maybe you are unlucky and have had a particularly large deposit of fallout around your retreat, and maybe you need to consider abandoning your retreat entirely. Note that while you might choose to shelter for a month or more, you can almost certainly venture outside for very short periods of time during your period of sheltering, although you need to be very careful not to bring contamination with you back into your shelter. Shoes/boots in particular will have fallout on them after walking around outside, and your outer clothes may too. While outside you should cover up as much as possible, and we’d suggest breathing through a mask as well, particularly if there is wind and dust outside. You’d want to remove your footwear and clothing outside the shelter, and shower outside, before coming back into the shelter. So we have established that as long as you are inside a strongly built structure and 5 – 10 miles away from a 1 MT blast, or outside and 15 – 20 miles from a 1 MT blast, you will probably survive. This of course begs the question – how close to a blast are you likely to be? This is the second of the two key variables to consider (the first being the strength of the blast). Your distance from any possible blasts is clearly a very important question, but answering it with exactness is difficult, for two reasons. The first reason is we can’t accurately guess exactly where any possible enemy may choose to target and attack. But we can probably guess some places they won’t attack – rural locations with no significant industry or airports or harbors or major transportation hubs or other economic or industrial or military objects of value. The only difficult part of making that prediction is not knowing for sure if there isn’t some super-secret government installation, or similarly secret commercial installation, something/anything of relevant strategic value, and known to the enemy but not to you. Maybe there’s a huge big data-center or internet resource somewhere in the fields, or who knows what, where. And even if there isn’t, maybe the enemy mistakenly believes there is! The second reason is that no-one really knows what would happen in a high intensity nuclear attack. In addition to the unknown reliability and accuracy of enemy missiles to start with, there are three interesting complications. The first complication is what might happen to the guidance systems of missiles as they go over the north pole. Depending on how the missiles are guided, this could possibly cause errors to occur. There have been no missile tests over the pole, so this is all untested theory. The second complication is what might happen when our defense forces try to counter any incoming missile attack. Alas, our anti-missile forces are pitifully weak and very few in number, and no-one would suggest they would have any tangible impact on a major attack featuring tens or hundreds of missiles and hundreds or thousands of warheads. But even if we managed to deploy five or ten ABMs, they might possibly knock some incoming missiles off course rather than completely destroy them, causing the warheads to go and explode in the ‘wrong’ locations – and ending up hundreds or thousands of miles away from their original target. What if the wrong location they arrived at was, by a bad turn of fate, directly above our retreat? That’s definitely a consideration, albeit a very unlikely one. The third complication is similar to the second. It is not clear what happens to incoming warheads when one that arrived a minute or two or three before the later ones, detonates. Will the incoming warheads immediately behind still operate, or be destroyed in the blast (a concept known as ‘fratricide’)? That’s a question of little relevance to us if we’re hundreds of miles away, but a more relevant question is whether the force of the first warhead’s blast might not knock other warheads off course and cause them to veer off target and again end up detonating closer to us than was intended. Such course deviations are probably not likely to push warheads hundreds of miles off course, but it is certainly conceivable they might deflect a warhead ten or twenty miles. This is because whereas the ABM attacks take place earlier on the missile’s trajectory, where a small deflection ends up with a larger movement at the end of the journey, the effects of other explosions would impact only on the last twenty or so miles of travel. Depending on your location, that might be relevant. So, with a reasonable but not absolute degree of certainty, you can probably determine whether you are in a location that has a high or low ‘appeal’ as a nuclear target. If your retreat is located in an area that has anything other than a very low degree of appeal, you’ve made a bad location choice! We don’t mean to understate the potential devastation and catastrophic effects of nuclear weapons. They are beyond terrible. But, none of us should overstate their effects, either. The anti-nuke campaigners, in a manner very similar to anti-gunners, have chosen to magnify the public perception of the outcomes of nuclear explosions, and while many people will die and many buildings will be destroyed, the good news is that very many more people will live. This is a two-part article. In the first part we looked at the deadly immediate effects of a nuclear explosion and how far they reached from the explosion’s center; if you have not yet read it, you should probably now do so. We have a great deal of additional resources on nuclear issues and responses here. 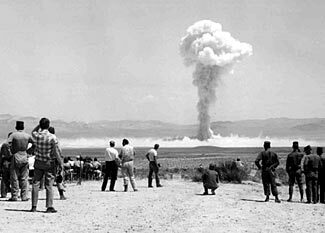 People observing the nearby Small Boy test in the NV desert, 1962. This is the first part of a three-part article that looks at how to calculate the potential impact on your retreat location of the release of radioactive material somewhere else. In other words, if a nuclear explosion goes off, or a nuclear power plant has an accident, some distance from you, how will that affect you at your retreat? After you’ve read this first part, please follow the links on to parts two and three, including some worked examples and links to the resource materials you need to do your own calculations and planning. Once you have started to zero in on an area for your retreat, you then start considering reasonably local issues such as the potential risk of radiation/fallout from nearby nuclear power plants, in the unlikely event something might go wrong with them, and similarly from any probable nearby targets in the event of nuclear war. Sometimes you can just simply look at a map showing potential risks and guess as to if you’re safe or not. You don’t need to do too many calculations to understand that downtown DC is probably at great risk of some type of nuclear event, if/when TSHTF. Unfortunate, there’s no opposite situation where you can instantly tell by a quick glance at a map that any given area is clearly completely safe. Plus or minus a hundred miles or so, nowhere in the US is more than 250 miles from either a nuclear power station and/or a possible nuclear target in a high intensity conflict. Although 50 miles is more than enough distance to survive the immediate heat, blast and radiation effects from a nuclear explosion, the fallout radiation implications can be very different indeed. As we mentioned in our article about the safety of nuclear power stations. dangerous radiation levels as a result of the Chernobyl disaster occurred in what seemed to be a semi-random manner as far as 300 miles away, and radiation from the Fukushima disaster made it all the way across the Pacific to the US. Note our italics for the phrase ‘what seemed to be’ – because, of course, there is underlying scientific sense that applies to the observed fallout pattern from Chernobyl. This article series talks about these issues. We discuss the five most common types of radiation in detail in our article on Radiation and Fallout Risks. Radiation itself is generally both extremely short-lived and also usually only capable of traveling short distances and easily blocked by most things (quite the opposite of public perception). There is one notable exception to the easily blocked issue – neutron radiation, which while limited in distance to several miles, can penetrate quite a lot of shielding during the course of its travel. The initial release of radiation from a nuclear explosion is very intense, but only harmful to people within a few miles of the explosion. The bigger problem is that as part of the nuclear explosion, some of the radiation released will react with non-radioactive materials, and make them become radioactive in the process – that is, they will then start steadily emitting radiation for some time into the future – maybe only hours, but possibly also days, weeks, years, or even centuries. The second part of this problem is that the heat and blast of the nuclear explosion will turn whatever these things are into finely powdered dust/sand/dirt type particles and then, via the blast wave, propel them long distances. These tiny particles of now radioactive dust are what is known as fallout and represent the biggest problem that most people will encounter as a result of a nuclear explosion. So for us, hopefully having located ourselves safely away from the immediate effects of the initial heat, blast, and radiation burst from the bomb, our concern is to do with the fallout. As you know, normal dust can go anywhere and get anywhere, and if there is radioactive dust falling in your area, it will have the same ability to spread out and cover surfaces, to hang suspended in the air, to be kicked up into dust clouds when the wind blows, and so on. Furthermore, while the radiation it releases might be weak, there’s one huge danger, and one more insidious danger. The big danger – if you ingest the dust – by breathing, or if the dust gets onto food or into water – you then have radioactive substances inside you, where there is no distance and no barrier protecting you and your organs from the full effects of the radioactivity. Even the weak radiation that can only travel a few inches and be blocked by a sheet of paper is now hitting and harming your internal tissues and organs. The more insidious danger is that low levels of radiation being emitted from fallout may also be fairly long-lived, and so over a period of months (or years) their effects will start to accumulate and cause problems. So you really want to avoid being in an area with radioactive fallout. When evaluating your fallout risk, you need to know whether the initial ‘event’ that creates the radioactive fallout will create a little or a lot of fallout, and whether this fallout will be propelled way up into the jetstream or if it will stay closer to the surface. The ‘jetstream’ is (are) fast-moving bands of air, situated somewhere between about 22,000 ft and 52,000 ft above the ground, and traveling at speeds of anywhere from about 60 mph up to sometimes in excess of 250 mph. How do you determine the answers to these questions? You need to decide if the nuclear blast will most likely be an airblast, a surface blast, or a sub-surface blast. Airblasts are the most common sort, and happily create the least amount of fallout, because the fireball from the blast is mainly above the surface of the ground, and doesn’t impact on as much ‘stuff’ to vaporize and transform into radioactive fallout. Even more happily, the fallout they do create tends to go up into the upper atmosphere, where it might get caught in the jetstream. If the fallout gets into the jetstream, this will quickly whisk it away from the site of the blast, and by the time the particles start to drop out of the jetstream again, they may have traveled anywhere from a few hundred miles to many thousands of miles. The good news is this means the fallout gets dispersed over a very wide area. The bad news is that while you might not be at risk from a nearby blast, you may get a small amount of fallout from far away blasts (for example the jetstream took fallout all the way from Japan to the US after the Fukushima power plant problem). Even if the fallout particles from an airblast do not mix into a jetstream, the simple fact of throwing them up a long way means they’ll spread out over a greater area than if they were not thrown up as far to start with. You can see this for yourself with a simple thought or real experiment. Take a handful of rice, hold it a couple of inches above the floor, and then drop it. See where it lands and how it spreads out. Now, after cleaning up your mess, take a second handful of rice, toss it as far into the air as you can, and see where it lands. It will be much more spread out, won’t it (good luck with the cleanup!). These are the nastiest of the three types of nuclear explosion. The initial fireball from the blast is, by definition, right on the ground (or within 100 ft or so of the ground), and will be vaporizing literally tons of material – buildings, dirt, people, anything and everything. A massive amount of fallout is created. Much of this fallout does not get thrown as far up into the atmosphere, and will fall back down to earth without reaching the jetstream. 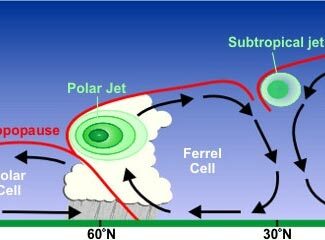 So a surface blast has two severe consequences (compared to an air burst). The first is the creation of massively more fallout material; the second is that this material is not distributed thinly (and almost safely) over a wide area, but is concentrated in a dense and potentially lethal area, within a few hundred miles of the explosion. 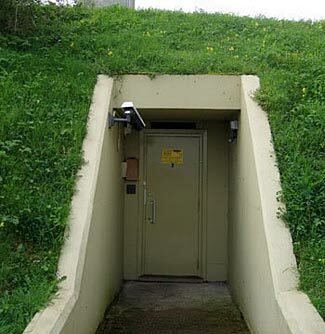 If the enemy is trying to destroy hardened bunkers, and possibly missile silos, they may use bombs that are designed to penetrate a distance into the ground before exploding. The best case scenario would be a bomb that traveled so far into the ground before detonating that the earth above it contained the full effects of the blast. This is what happened most of the time with underground testing of bombs – sure, you’d see the surface rise and blister some, and the shockwave would cause dust to rise from the surface, but it would be non-radioactive dust, and if the calculations were correct, the covering of earth above the bomb would contain the force of the explosion. However, it is unlikely that missile penetrators would go that deep. A shallow subsurface blast might actually be even worse than a surface blast, because more of the fireball will interact with material rather than the top half of it less harmfully going upwards into the sky. A bit deeper and the effects would be similar to a surface explosion, and deeper again and the amount of fallout sent up into the air would start to reduce, as would the height it reaches and therefore the distance it travels. In the case of a nuclear power plant failure, it is likely that the failure will not be akin to a nuclear explosion, but rather it will be some sort of secondary effect caused by runaway heat causing fires and steam buildup (which might possibly then burst through a containment external barrier with explosive force) and the effects of fire and heat and steam releasing radioactive material. This is most likely to mirror the effects of a surface or subsurface blast, although we again look at the Fukushima event and learn from it – the explosions it experienced sent some radioactive material all the way up into the jetstream. At the risk of massively oversimplifying, we’re going to say ‘forget about radioactive material that makes it up into the jetstream’; because most of that material goes anywhere and everywhere. Having happily forgotten about that, we still have to face the remaining reality – ie, that nuclear power plant failures risk releasing potentially large amounts of radioactive fallout type material that will be deposited in the several hundred miles around the plant. As a quick rule of thumb, attacks on civilian structures will be air bursts because they create the most blast damage over the greatest amount of surface area. Attacks on hardened (ie military) structures are more likely to be ground or subsurface blasts, because an airburst may not be sufficiently strong to destroy them. If it is simply an attack on a place with massed troops or equipment, it will probably be an airburst. Only if the target has unusually strongly constructed buildings will an enemy feel the need to transition from an air burst to a ground burst. Unusually strongly constructed buildings might include ammunition bunkers (especially if likely to contain nuclear munitions) and some types of airplane protective hangar. Attacks on bunkers and other underground facilities will definitely be sub-surface. Please now click on to the second part of this three-part article series. 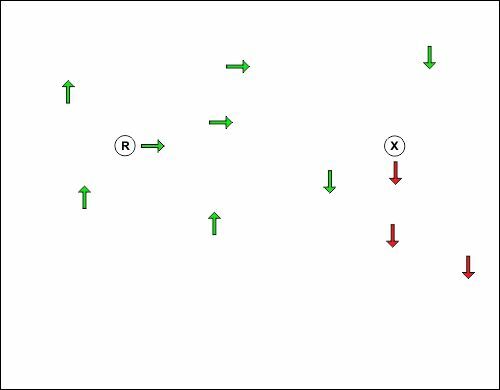 Part two explains how the two different types of winds will interact with the fallout and how we can calculate the effect they will have on our retreat location. The third part then looks at sources and types of wind data you can obtain to work out the impact on your retreat from radiation releases in other places.